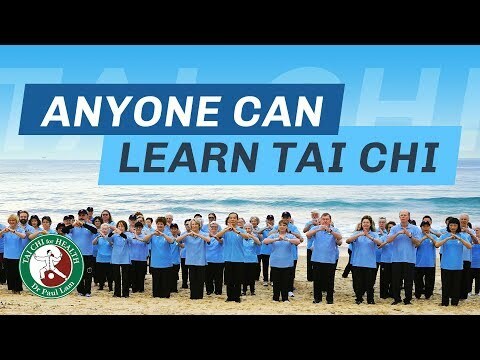 Dr Paul Lam, a retired family physician and tai chi master, led a team of tai chi and medical specialists to create this program. The special feature of Tai Chi for Diabetes is that it is easy to learn and designed to prevent and improve the control of diabetes. The program will help minimise the risk of complications of diabetes by improving heart/lung function, muscular strength, flexibility, balance, and stress reduction. Diabetes Australia gave its support to this program because of its efficacy and safety. The Tai Chi for Diabetes program is based on Sun and Yang style tai chi. Besides the fundamental 11 movement tai chi, it contains an advanced 9 movement set, warm-up, wind down, and Qigong breathing exercises. For people with or without diabetes, Tai Chi for Diabetes is a good way to start your journey to better health. It is an enjoyable and safe set of forms which delivers many health benefits.